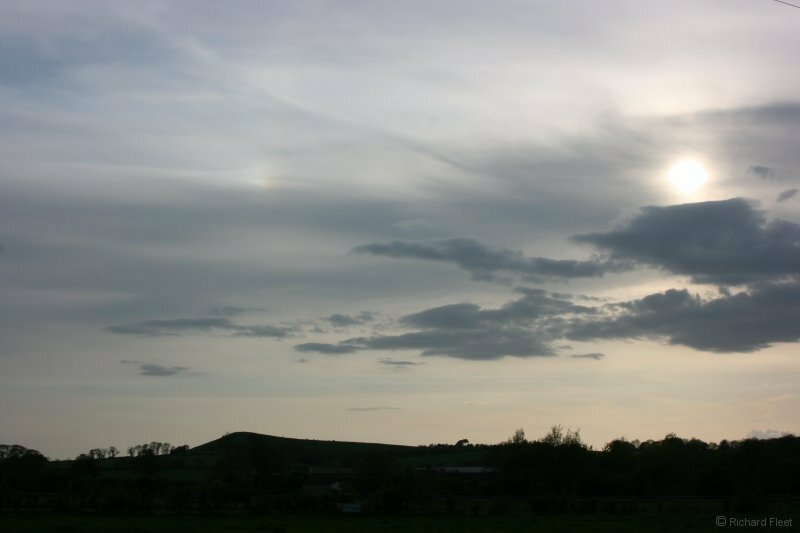 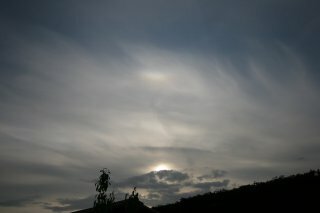 Another afternoon where a number of halo effects were visible, but not all at the same time. 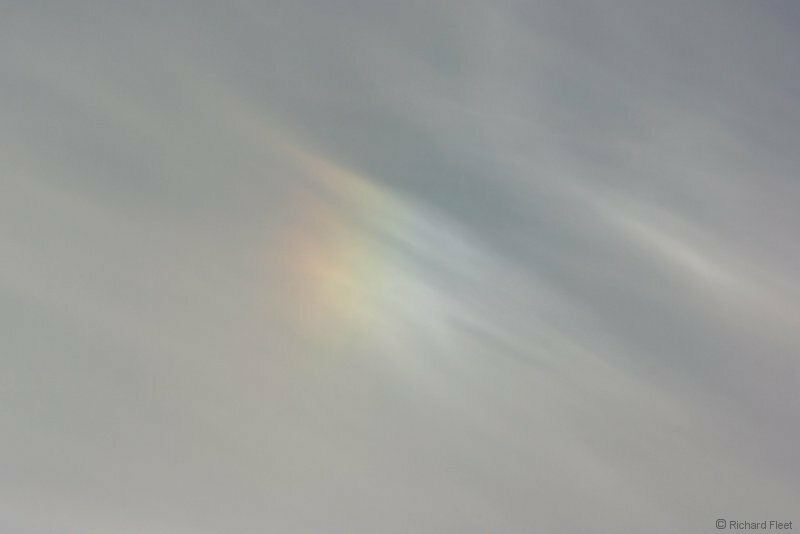 This display started with a faint circumzenithal arc. 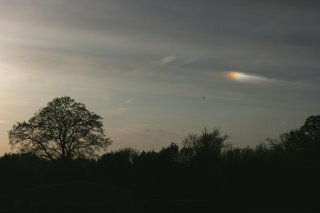 A lucky catch as I tried to capture both sundogs and a faint section of upper tangent arc. 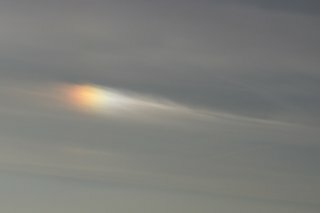 Below are closeups of the sundogs. 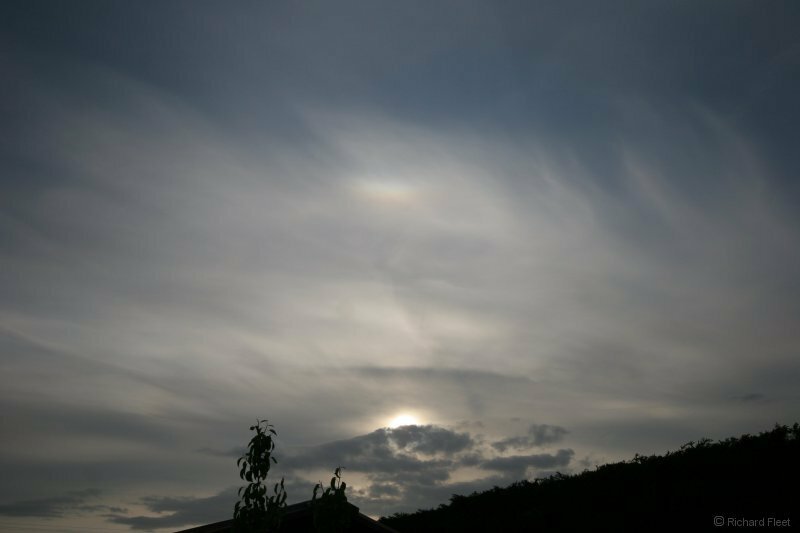 Later on a weak sundog formed again. 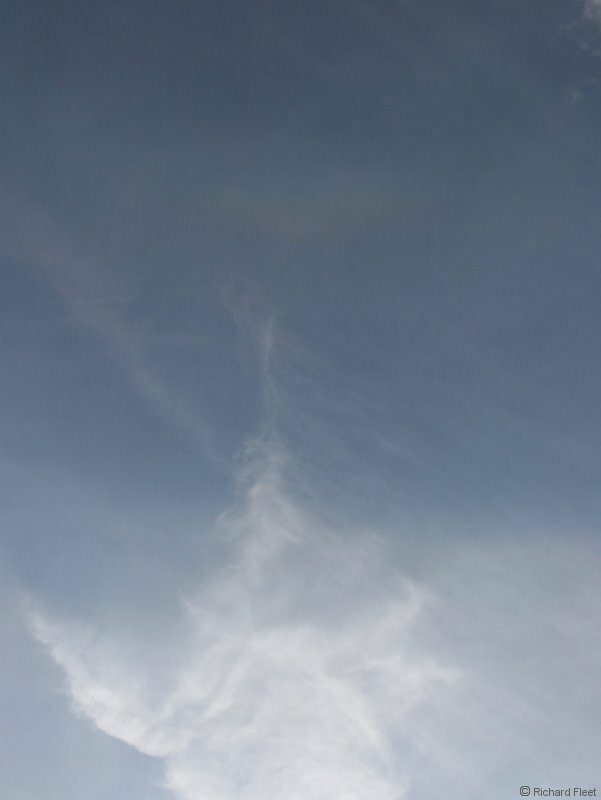 This was followed by a more prominent and colourful section of upper tangent arc. 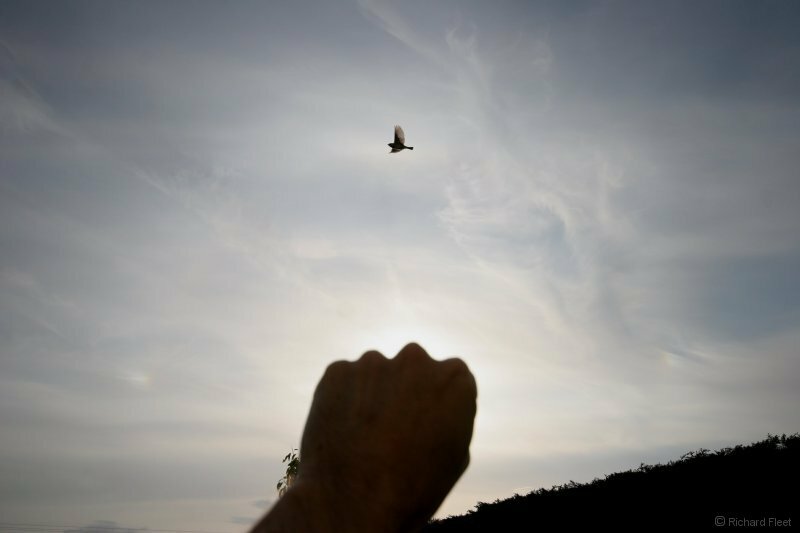 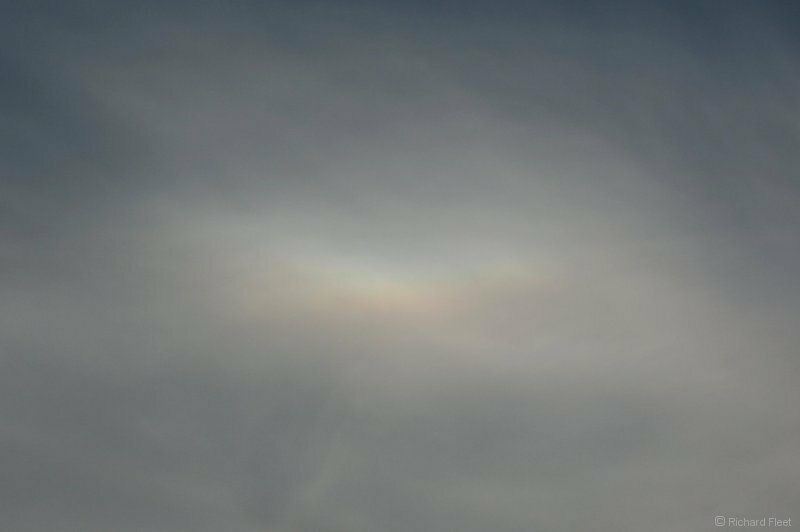 Unfortunately the variation in the cloud background made it hard to pick out the true shape of the arc at this solar altitude. 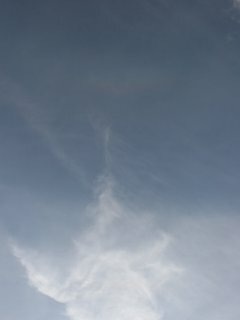 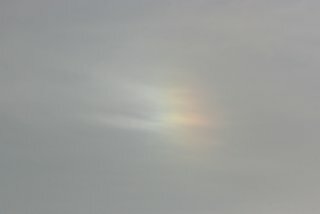 The display finished with this bright sundog in a wisp of cirrus.